While working as a Certified Pediatric Registered Nurse at the Children’s Hospital the last 12 years on a general medical surgical unit, I saw many children suffering from autoimmune disease. It broke my heart to see these children so sick at such a young age. It’s just not fair to have to think about being sick when you’re a kid. You should be worrying about what toy you’re going to play with next, not when you’re going to have to come back to the hospital. The resilience in their spirit is amazing to see. Don’t get me wrong, these kids have really bad days and suffer a great deal, but one thing that I noticed was seeing the disease weaken their body but not their spirit. When I looked in their eyes I didn’t see a sick child. I saw a strong soul, stronger than any adult, and that is something I will always remember. 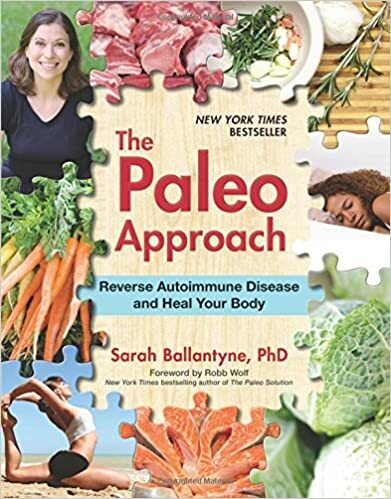 During my studies on autoimmune disease the last few years, I learned that there are things you can do to help prevent and help lessen the effects of autoimmune disease naturally. I am not saying you can cure your autoimmune disease, but I am saying there are things you can do to help fight for remission. I’m a firm believer that you should treat the underlying cause of an illness, not just mask it with a short-term solution. While I fully support and am grateful for modern medicine, this is where they sometimes get it wrong. An autoimmune disease is caused by an overactive immune system. Normally the body attacks foreign invaders like viruses or bacteria. This is not the case in an autoimmune condition. In the case of an autoimmune disease, the body attacks normal cells. Often times people are given steroids which suppress the immune system, and help decrease the inflammation. Some examples of autoimmune diseases are Crohn’s, Ulcerative Colitis, Eczema, Lupus (SLE), Multiple Sclerosis, Type 1 Diabetes, Grave’s Disease, Hashimoto’s Thyroiditis, Vasculitis, Rheumatoid Arthritis, Autoimmune Hepatitis, etc…. What can I do to help improve my Autoimmune disease or help prevent an Autoimmune disease naturally? Reduce Toxin Exposure– Reducing the exposure to toxins in your everyday life isn’t an easy task. We are exposed to them constantly in and outside the home. While we can’t really do much about breathing in the pollution outside the home, we can improve the air quality inside the home. The Environmental Protection Agency studies have shown that indoor pollution can be 3-70 times higher than outdoor polution. Much of this is due to chemicals leaching out of the bottles of your cleaning products, paint cans, and other toxic products. I recommend getting rid of all caustic chemicals in your home to reduce the load on your immune system. Your body is constantly working to rid itself of toxins and if you can help reduce the work load, your body will run more efficiently. My family shops with a highly reputable online health and wellness company, that carries all our personal care and household items at wholesale cost. They are all toxin free and work just as well as any chemical brand. If you would like more information please contact me. I would be glad to get you information. It’s really about making educated decisions when you’re at the store. Correct Vitamin D Deficiency -Autoimmune diseases are more common in people with low vitamin D levels and much less common in those with higher levels. While low vitamin D levels don’t cause autoimmune disease, it does seem to serve a permissive role in allowing the disease to proceed. A blood level of 60-70 ng/ml is what you want to aim for. Most people who don’t take a Vitamin D supplement tend to run between 20-30 ng/ml. When you look for a supplement be sure it is in gel form or liquid not a tablet and that it is in the form of D3 cholecalciferol. Most people need between 4000-8000 units per day. Make sure you ask your doctor to check a level every year with your annual physical. Take An Omega 3 Supplement– Not all omega 3 supplements are created equal. Be sure you are getting DHA+EPA that equals about 3600 mg per day divided in two. Omega 3 has been shown to decrease inflammation in the body. Take a Daily Probiotic and Prebiotic– People with autoimmune disorders usually have bad gut flora. Everyone has good bacteria in their gut, but some have more than others. Processed sugar and grains feed bad gut flora which can lead to permeability and leaky gut. This is when tight junctions in the small intestine don’t work properly and allow gut contents to leak into the bloodstream. Taking a good quality probiotic is key. Many probiotics are quite frankly a waste of your money and you would have to eat about 10 cups of yogurt a day to get what you need from food alone. Look for a brand with at least 10 billion colonies per dose. Contact me if you would like more information on good brands. Prebiotics are the food that feed the probiotics. If you don’t feed the good bacteria, it’s like not fertilizing your garden, nothing grows properly. Dr. William Davis talks more about prebiotics here. Eat Clean and Exercise- Reduce your intake of processed foods. Eat foods that don’t come in a box. Eating food without a label is always a good rule to follow. If it has less than five ingredients on the label it’s generally ok to eat. Another good rule to follow is, if you can’t pronounce something on the label, it probably isn’t good for you. Eat organic when ever possible and get plenty of exercise. Thirty minutes three times a week of just walking outside is all you need. Exercise has been shown to reduce stress, and stress has been known to aggravate an autoimmune condition. I truly hope these suggestions help you or a loved one who may be struggling with an autoimmune disease. This subject is near and dear to my heart as I was diagnosed a few years ago with Hashimoto’s Thyroiditis. My husband also had the beginning signs of Crohn’s disease but by giving up gluten and following the tips above, he healed his gut. My hope is that by educating on prevention, and treating the underlying cause, we can reduce autoimmune disease rates. *As always talk with your doctor before making any new changes to your diet or before taking any new supplements.